In a recent podcast in the Lancet Psychiatry discussing advice columns, Anna Raeburn noted the demise of the magazine advice column, alongside the decline of advice giving on radio (at least in Western countries). This has been known for some time, but is put into context by this 2001 historical piece from Barbara Jacobs in The Guardian. Documenting the ending of a contract for the last in-house magazine agony aunt, Gill Cox from Woman’s Realm/Woman’s Weekly. Jacobs highlights the shifts in print media just as changes to online media are beginning. Which in turn both opened up and closed down opportunities for advice giving. “[t]he nature of the game has changed. The office desk for social conscience has been cleared, and in its place is a database, operated by a researcher trying to make sense of the desperation of the voiceless reader and dispatching it to a freelance, free-floating agony aunt over the internet. Personal solutions to personal problems, it seems, have become a thing of the past”. 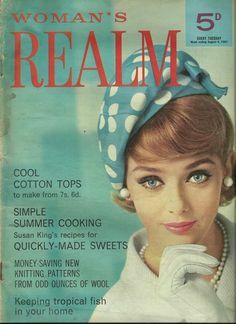 For those who are interested there is research to be done on the advice column archives of women’s magazines – what were people asking about and what advice were they given? Alongside interviewing those who oversaw said columns or worked on them as secretarial support, and noting the changes to media within the past 40+ years, plus how the ‘personal solutions’ were offered. Not to mention interviews with editors and owners of publications to identify what strategic and commercial decisions led to the axing of in-house advice columnists and support staff – and the impact that may have had on audiences. Has the internet stepped into the gap left behind? Have the ‘freelance, free-floating’ agony aunts offered the same level of service? Is this 2001 piece more about the anxieties of print media in the face of the internet changes that were set to destroy a lot of traditional journalistic practice? Or is it a genuine call for improved services and reader care? Others who are giving advice may want to reflect on what has changed, note the history of who has done the job before, and consider what we can do to bring in the ‘personal solutions’ in times of financial cuts and a lack of investment in the advice giving service. Again some of this is discussed in the podcast linked to at the start of this post. Jacobs B. 2001. Dearly Departed. Media Guardian. The papers and books collated here also provide overviews of magazines and advice giving.